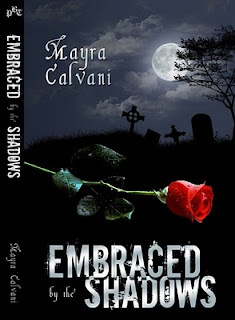 It is my pleasure to welcome author Mayra Calvani to The Latina Book Club. Mayra is a wife and mother of an 9-year old author. Plus, she is an award-winning author of fiction and nonfiction for children and adults, who just signed on with Mansion Street Literary Management. Mayra is also a reviewer for The New York Journal of Books and co-editor of Voice in the Dark ezine. She’s had over 300 reviews, interviews, stories, and articles published in print and online. She is a member of the Society of Children's Book Writers and Illustrators (SCBWI) and the Children's Writer's Coaching Club. I don’t know how she does it all. Join me as we chat with Mayra about her books, the mother-daughter book signings, what she’s doing for Christmas and the New Year. And as a special gift, Mayra has shared with us her tips on how to write children’s books. Read on. Q: Tell us about yourself. Family? Work? Pets? Thanks for having me as your guest, Maria. It’s a pleasure to be here. I started writing when I was about twelve years old and since then my life has been surrounded by books. During my teens I wrote short stories, school plays, and even tried my hand at a novel. Later, I majored in Creative Writing in college. So yes, writing has always been a part of my life. I’ve also had the fortune of living in various countries, something that has influenced my writing. I’ve done teaching in the past but now I write fulltime, except for when I do replacement teaching once in a while. I live in Belgium with my husband, two kids and a loveable golden retriever, Amigo. Q: I read that you never sleep and are always either taking care of your family, writing or reading. How do you manage your time to fit in EVERYTHING? What is your writing routine? Really? Where did you read that? :-p I admit I’m a workaholic. I make it all work with a weekly plan and various To-Do lists. I plan my work week every Sunday. My writing sessions are usually in the morning, though I also write twice a week at night with an online writing buddy. Afternoons are mostly for book marketing, promotion, networking, etc. I work on various projects at the same time. I also review books, write articles, and co-edit an ezine, Voice in the Dark, so planning ahead is vital or I just freeze. Sometimes life gets in the way and there’s nothing I can do about that, but I try to follow my plan as close as possible. Late afternoons and early evenings are for family time, then by 8pm or so I’m back at the computer, usually until midnight. I take the weekends off, though if I have time I usually work a little on Sunday nights. Q: You write women’s fiction and paranormal thrillers. How do you go from that to writing and illustrating children’s books? Which genre do you prefer? I write what inspires me, so I don’t stick to one particular age group or genre. The paranormal genre is the closest to my heart because that’s what I wrote from 12 to my mid 30’s. Then I had kids and fell in love with children’s literature. I have been hooked on it since then. I love both genres, so it’s hard to choose a favorite one. But if I had to choose, then I guess I’d choose the paranormal. I just can’t resist a good ghost, werewolf or vampire story. It mesmerizes me. As a writer, creating this type of fiction is incredibly enjoyable too. I don’t illustrate children’s books, though. I only write them. Q: You started writing children’s books once you had kids. 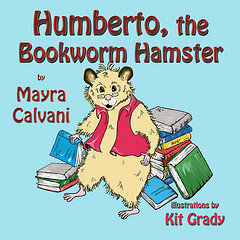 Your book HUMBERTO, THE BOOKWORM HAMSTER has been nominated for an EPIC award. How did you feel when you heard the news? What other awards have you won for your children books? To be honest, I had forgotten I entered HUMBERTO in the EPIC Awards, so when I received the news, it was such a wonderful surprise. Awards give you a powerful sense of validation. THE DOLL VIOLINIST, which will be released by Guardian Angel Publishing next year, was a finalist at the ABC’s Children’s Picture Book Award Competition and also received an Honorable Mention Award at the Writer’s Digest Writing Competition. Q: Your second children’s book CRASH, you wrote both an English and Spanish version. Is translating your own work something you will continue doing? Did you write the book in Spanish first or English? Actually, CRASH was my first children’s book. It was written in English first (I always write in English first), then I had fun translating it. I’d like to translate my other children’s books, but translation is such hard work and so time consuming! Also, the Spanish version of this book hasn’t done as well as the English version, so there’s the marketing aspect to consider. 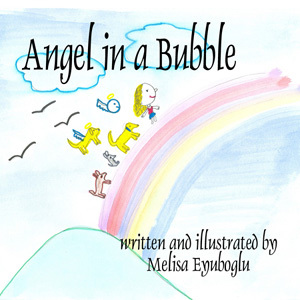 Q: Your 9-year old daughter wrote and illustrated her own children’s book, ANGEL IN A BUBBLE, and it was published. How does it feel to have your daughter follow in your footsteps? Do you do book signings together? It was a wonderful experience! One summer I turned the kitchen into a workshop for a whole week and taught her how to write and illustrate her own book. I actually wrote an article on the subject. You can read it here. Yes, we have done signings together at Christmas fairs. It’s a lot of fun! Q: What are your favorite children’s authors? Linda Smith, Mary Downing Hahn, and Kate DiCamillo are just some of the writers I love. Q: What is next for you as a children’s author and as a women’s fiction author? What books will you have out next year? 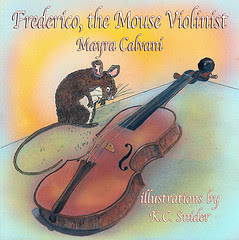 I have another picture book which just came out this December: FREDERICO THE MOUSE VIOLINIST. It’s a concept book that teaches kids the parts of the violin, but it is also a sweet story about a little mouse who lives in Antonio Stradivari’s WORKSHOP and who wants to play the violin. Readers can find out more about it on my website, http://www.mayrassecretbookcase.com/. I have about 6 more picture books coming out within the next two years, and I also have a young adult novel and a middle grade novel doing the editors’ desks roundup. 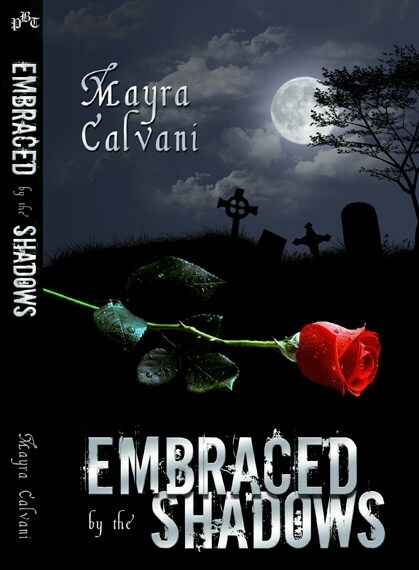 As far as women’s fiction goes, my vampire suspense novel, EMBRACED BY THE SHADOWS, will be released in print by Twilight Times Books in a couple of months, hopefully in time for Valentine’s. Q: What children’s books do you recommend now that Christmas is around the corner? Does your family have any special Christmas traditions? I love the classics: THE NIGHT BEFORE CHRISTMAS, FROSTY THE SNOWMAN, RUDOLPH THE RED-NOSED DEER, and THE POLAR EXPRESS. You don’t have to have kids to become a children’s author, though that’s the way it happens with many writers. However, you must have an affinity with kids and be able to go to their level and understand their fears and motivations. 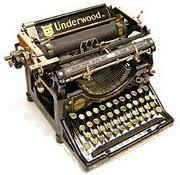 For those of you interested, here are some writing tips. First of all, study the craft. Just being a mom or a grandma that doesn’t qualify you to be a children’s writer. There are two books I’d strongly recommend: WRITING PICTURE BOOKS, by Ann Whitford Paul, and PICTURE WRITING, by Anastasia Suen. Keep them on your desk and analyze them regularly. Another thing you can do, if you’re not familiar with the genre, is take a class or an online workshop. A good one is: http://www.asuen.com/workshops/w.pb.shtml. Or you could enroll at an online school such as the Institute of Children’s Literature. Then, you have to read and write regularly. Make a plan and stick to it. Writing once in a while won’t do it. You need to keep improving your craft and the only way to do that is with practice. Join a critique group that specializes in children’s writing. We writers are our own worst critics, so we need that pair of objective eyes. When your story is the best it can possibly be, start submitting it. Get a copy of BOOK MARKETS FOR CHILDREN’S WRITERS and make a submission schedule. Submitting only once a month is a drop in the bucket. I’d recommend submitting several times a month. I usually submit in batches of 10 or 20 at a time. If you’re serious about becoming a children’s writer, join the Society of Children’s Book Writers and Illustrators at http://www.scbwi.org. You can also join a yahoo group called Childrens-Writers. You can interact with other children’s writers, share information and resources, and ask questions about the industry and all aspects of writing for children. The link is: http://groups.yahoo.com/group/childrens-writers/?yguid=74030160. RE AGENTS: Children’s authors don’t need an agent to get published. There are plenty of mid-size and small presses that consider unagented authors. However, if you want to be considered by the large New York publishers, you need an agent because most editors from big houses won’t even consider queries unless they come from an agent. So it really depends on what your goals are. If you have big goals, then you should search for an agent first. Visit Mayra’s website at http://www.mayrassecretbookcase.com/. She also keeps a blog at http://www.mayrassecretbookcase.blogspot.com/. To join Mayra’s Facebook Fan Club, click here.